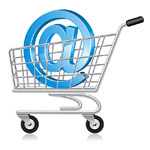 Electronic commerce (e-commerce), a word has become more accessible to modern world. E-commerce has changed more the way of thinking as compared with former traditional business. At lowest cost and highest source of customers, those are the benefits of electronic commerce. • Create many opportunities for business marketing effectively the company's products to the world. • Increase ability to compete with rivals. • Reduce costs a lot as compared to other traditional sales channels. • Simplify the paperwork when conducting transaction leading to the most effective result in business. This will be an effective overall solution for every business, helping businesses accessing modern technology.